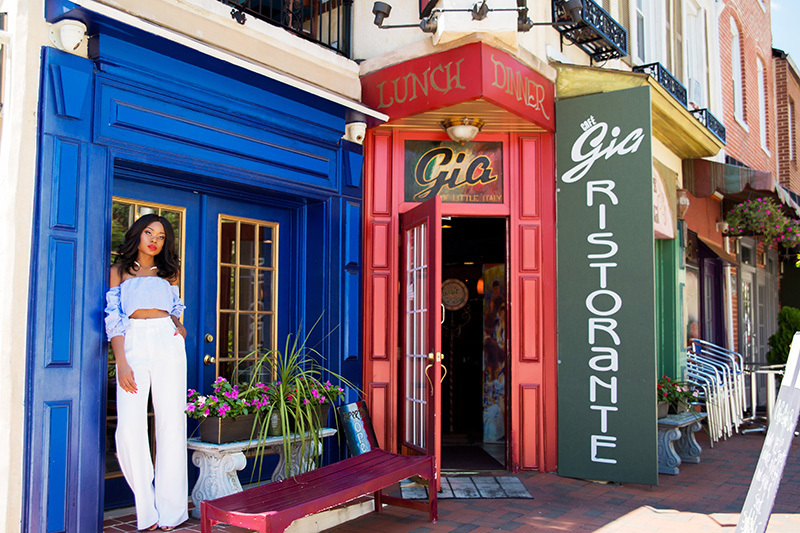 Pairing my white pants with an off shoulder top blends perfectly with the mural next to Café Gia Ristorante in Little Italy. 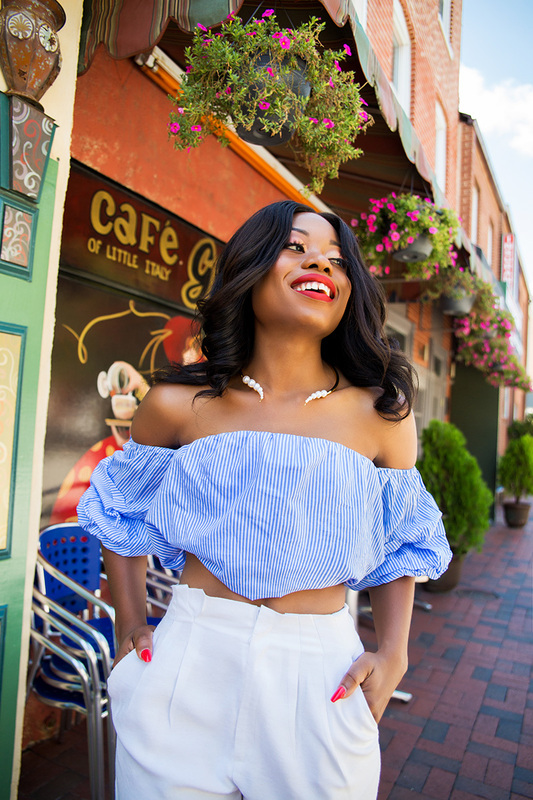 This area is one of my favorite places to visit in Baltimore and it is known for great Italian restaurants; plan on visiting if you are in the area. 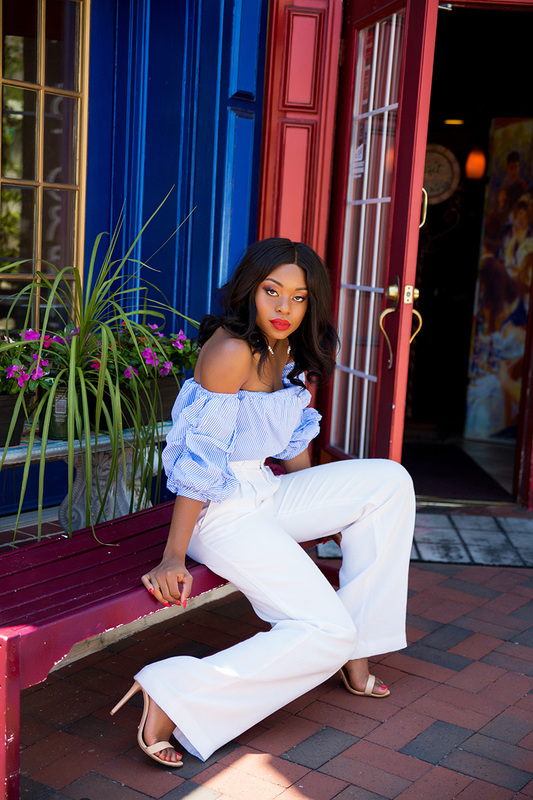 I have styled this white wide-leg pants twice in the past few weeks. 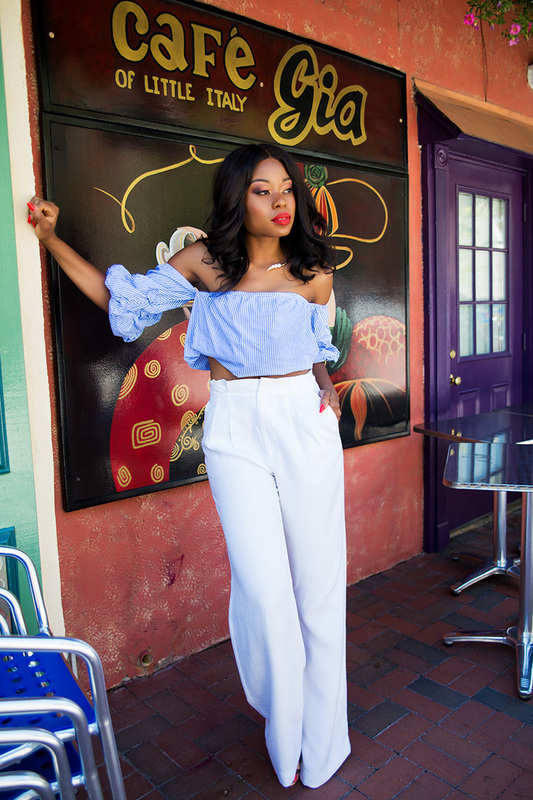 On my Snapchat (Jadore-Fashion), I paired it with white bell sleeves and an off shoulder top. For an upcoming post, I will pair with a Zara floral bodysuit (follow me on Instagram and Snapchat to get a glimpse). P.S. I styled the white pants last summer here and last winter here. 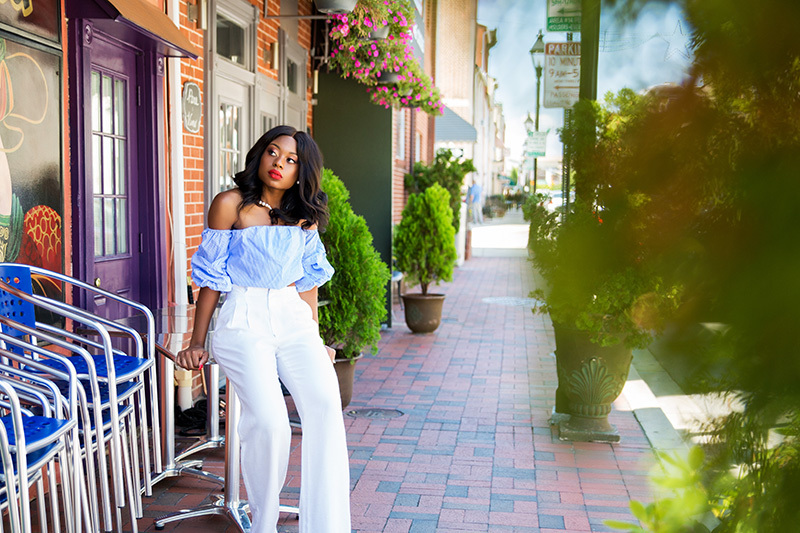 Also, the off shoulder was previously worn with this white overall while on vacation here. What a gorgeous look Stella, those pants are just to die for. Beautiful photos as well. 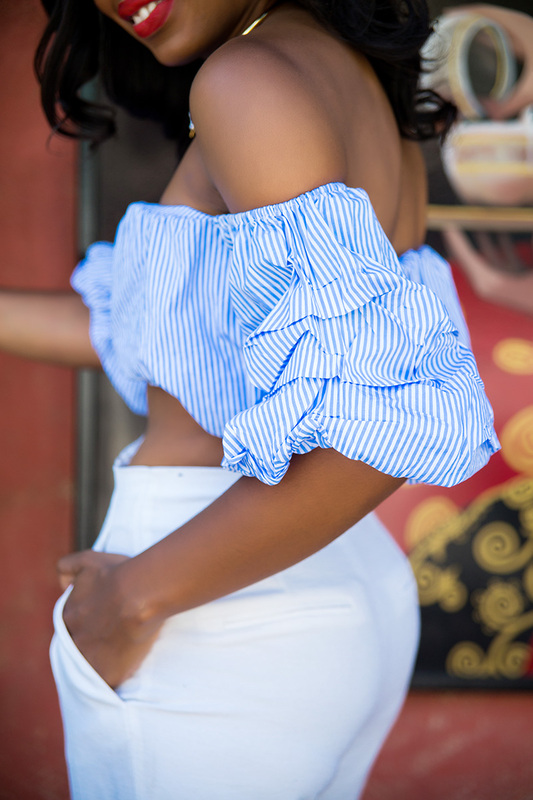 You rock these off shoulder pieces so well! Obsessed with your look from head to toe.